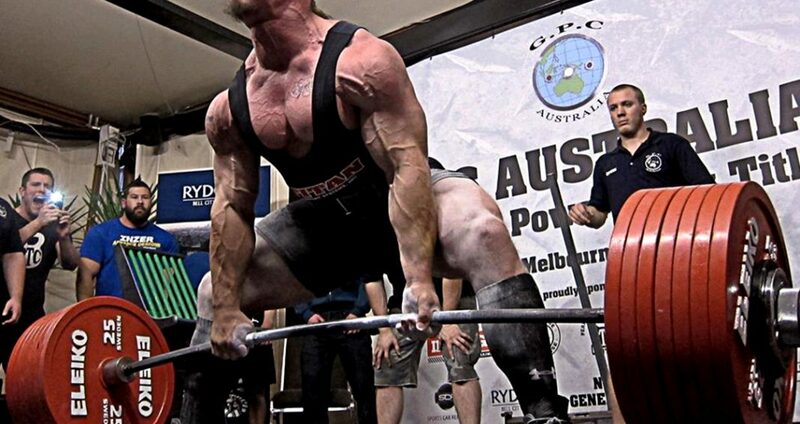 There are various opinions, from various people and sources regarding whether or not you should cut weight for a powerlifting competition, the pros and cons, and whether or not you lose strength doing so; And how much. I entered my latest competition (Greater Manchester Championships, April 29th 2018) in February whilst I weighed a stealthy 124 (ish) kg, with the intention of being in the under 120kg class come competition day. I was actually on holiday at the time, with unlimited food and drink at my disposal – this ended up not being a good thing, as when I landed back in the UK a few days later I weighed 128 (ish) kg. It was the heaviest I’ve ever been, and now I’d hit the 20-stone mark I was faced with a decision – stay as I am and change weight class to 120kg+, or try and lose the weight. Now, I’m never going to win anything of note, or become a force on the international (or national) stage, so most people would argue that I shouldn’t be cutting weight – especially not 8kg. But I had other factors to think about, although I had always been heavy up to now I’d always wore ‘slim fit’ clothes as my body still held a fairly decent shape – I was now into ‘regular fit’. On top of this, my stomach would still be moving a few seconds after I’d got into bed and lying motionless. Plus, the wife was being ever less tactful with her opinions. So I decided I’d give it a go, I’d try and lose the weight, hopefully without losing too much strength (if any). This is the sticking point with me though – it’s all about strength, if I’m going to be 120kg and strong, why not be 128kg and stronger? If weight loss directly affects strength it would be a much harder decision. There’s no doubt it’s possible to lose body fat without losing muscle mass, but can I? And does losing body fat affect strength? For the record, I will not be covering water manipulation / water cutting as this is not something that I would do. There are too many pitfalls, and if you get it wrong you either weigh in heavy or you’re seriously de-hydrated and is not worth it in my opinion. Tony Montgomery, the owner of TM Nutrition (USA) and high level competitive powerlifter says the strength decrease he experienced whilst cutting for competition “…has more to do with not having the same leverages you had when you were a fatty not so much a loss in strength”. I don’t have the figures on how much weight he lost, but this is an interesting idea, which I’ll look into later. He goes on to say that “The worst thing you can do here is try to starve yourself to make weight or exercise to make weight. These two scenarios will drain and fatigue you even more when you’re supposed to be resting and recover so you can peak for the meet”. So what can be done about this, how can you lose the weight whilst keeping the energy and muscle mass? When you restrict calories and carbs, it is a lot easier to lose muscle. This is a very general rule but increasing your protein intake to at least to about 1.3 to 1.5 grams per pound of bodyweight will help. “There is no reason that your strength cannot continue to increase as you lose body fat and therefore lose weight. Why do people think having extra fat on their bodies makes them stronger? Fat doesn’t help you lift weights – your muscle does! If your diet is structured correctly to avoid muscle wastage, there is no reason you cannot continue to hit PRs”. This is also what I thought, but on the other hand there must be a reason why most of the ‘World’s Strongest Man’ competitors have a massive amount of body fat, Mariusz Pudzianowski being the only exception that springs to mind. Also, there’s that notion about leverages mentioned earlier. Looking at some scholarly articles, it all seems to point in one direction. G Handrigan demonstrated that losing weight reduced absolute knee muscular strength on average, by 8.2 kg (±95% CI 3.9, 12.5 kg; on average, 10% of their strength). However, it was not made clear whether the weight lost was fat or muscle mass. So, sometime around early March I started to do what I thought best for losing the excess bodyfat. I’d tried and failed to find a gym that had a body composition machine to comprehensively measure my body fat %, lean mass % etc. Lifestyles on Victoria St, Liverpool used to have a very good one which cost a couple of pounds (£100 – £200 elsewhere), but it was disposed of for some reason. I took a good look at my diet and there were obvious things that I could cut out, pizzas, burgers, Nutella pancakes etc. I also realised how little protein I actually ate on a daily basis, I thought that 200-230g per day was quite good but apparently it was far short. This was a good place to start, as well as increasing water intake (previous article) I would increase my protein intake to 300-350g per day. This, from what I had researched should fend off some/most/all muscle catabolism. Samuel Mettler et al. (2010) in conclusion, found a significantly reduced loss of lean body mass with increased protein (~2.3 g x kg-1 x d-1) compared with a normal protein diet (~1.0 g x kg-1 x d-1) during short-term weight loss in healthy lean athletes. On the other hand, they detected slightly but significantly reduced feelings of well-being in the high-protein group. Performance was affected neither by the energy restriction nor by the diet composition in this study. Nevertheless, a small but possibly relevant influence of the diet composition or reduced energy intake on performance cannot be ruled out. It stated further studies were needed to gain more information about the dose response of the protein intake on lean body mass loss, and future studies with a more homogenous group of elite athletes may give more detailed information about the influence of dietary protein and lean body mass loss on performance. Ina Garthe (2011) states that when weight loss (WL) is necessary, athletes are advised to accomplish it gradually, at a rate of 0.5–1 kg/week. However, it is possible that losing 0.5 kg/week is better than 1 kg/week in terms of preserving lean body mass (LBM) and performance. After the first week I had already lost 3.5kg, much more than recommended above. I didn’t feel weak, and actually was getting stronger. After week two I had dropped another 1.5kg (now 123kg). On 19th March I had a very good squat session, with 210kg feeling easy. In Garthe’s study (2011) twenty-four athletes were randomised to SR (n = 13, 24 ± 3 yr, 71.9 ± 12.7 kg) or FR (n = 11, 22 ± 5 yr, 74.8 ± 11.7 kg). They followed energy-restricted diets promoting the predetermined weekly WL. All athletes included 4 resistance-training sessions/week in their usual training regimen. The mean times spent in intervention for SR and FR were 8.5 ± 2.2 and 5.3 ± 0.9 week, respectively (p < .001). BW, body composition (DEXA), 1-repetition-maximum (1RM) tests, 40-m sprint, and countermovement jump were measured before and after intervention. Energy intake was reduced by 19% ± 2% and 30% ± 4% in SR and FR, respectively (p = .003). BW and fat mass decreased in both SR and FR by 5.6% ± 0.8% and 5.5% ± 0.7% (0.7% ± 0.8% vs. 1.0% ± 0.4%/week) and 31% ± 3% and 21 ± 4%, respectively. LBM increased in SR by 2.1% ± 0.4% (p < .001), whereas it was unchanged in FR (–0.2% ± 0.7%), with significant differences between groups (p < .01). In conclusion, data from this study suggest that athletes who want to gain LBM and increase 1RM strength during a WL period combined with strength training should aim for a weekly BW loss of 0.7%. At this stage a 0.7% weekly weight loss would be 0.861kg per week, so with five weeks to go until comp and 3kg to lose I felt confident. As time went on the weight kept dropping, with three weeks to go I was down to 120kg. I still felt very good and was still hitting lifetime PB’s on all three lifts. I had dropped my calories from around 3500kcal per day to 2800-3000kcal per day, with a drastic improvement in quality of food from the start of this challenge until now. Now I just had to maintain for the next three weeks, so I upped the calories to 3000-3100. That’s where it started to go a bit strange. With two weeks to go I was down to 119.1kg bodyweight, I still felt good though and I hit the magical 180kg bench press at about 120.8kg bodyweight at seven o’clock in the evening. I upped my calories to 3200kcal. My carb intake was down at around 250g per day (from 380-400g per day) and had been upped to 300g per day for the previous week. It was now back up at 350g per day with the intention of maintaining weight and energy as much as possible. One week to go, I was now a featherweight 118.7kg – the floorboards didn’t creak as much under my feet and I could get in bed without my wife falling out. How it was happening though was beyond me, I was eating more calories, higher carb intake, protein intake the same, fats/sugars etc. the same. I was now starting to feel fatigued however, and in training my final heavy sessions didn’t go well. I was panicking. I was starting to notice a difference in the size of my upper body in particular now and even though I wasn’t feeling weaker I was starting to wonder if my leverages were changing. Jaric S. (2003) says that it has been known for some time that various indices of both muscle strength and movement performance can be related to body size. Four days to go, and after three days of the higher calorie diet and I was down again – 118.5kg. Mentally it was starting to disturb me a bit, I was wondering what I was doing wrong and hoping that strength would remain unchanged. Although I wasn’t dropping the weight too fast, I started feeling more and more drained – maybe this is the increase in protein as mentioned earlier? Who knows. I had saved two Easter eggs to eat after the comp but I was really considering nailing one to make myself feel better (or worse), there’s a reason why I haven’t dieted before! There was a mild case of ‘bigorexia’ coming into play too, every time I looked in the mirror I would see myself as smaller, thinner and I’d think things like ‘I’m sure I used to have traps…’. Anyway, three days to go… 118.4kg – at this rate if I qualify for the North West Championships I’ll be a -93kg lifter. I upped carbs to 370g and protein to 330g to try and feel strong again. My last gym session actually felt really good, but if it feels bad working with 50% then there’s something really wrong. This is something else that’s on my mind, lift off for this comp is 10.00am, weigh-in at 8.00am. This is going to be good for bodyweight & Wilks etc. but it’s a full eight hours earlier than I’m used to lifting weights, never mind maxing out. This will probably be another article but maxing out at a time in the morning that I’m usually still struggling to tie my shoelaces is definitely niggling in my mind. With one day to go I was now back to 118.6kg – the carb load was starting to work. I felt less fatigued and my muscles felt ‘fuller’. I was hoping my glycogen stores were getting back to where they should be. Due to an early start on comp day, 8am weigh-in, I was going to bed at 9pm tonight – there were multiple reasons for this, getting enough sleep was one, and the fact that I can’t normally move freely until I’ve been up and moving around for a few hours (never mind max out on my lifts). All this meant that I had to get my calories in earlier than normal, I still managed to finish off the day on 363g protein, 440g carbs and 79g fat mostly due to (most of) a carvery with the family. So here we are, competition day. The previous two days card load has definitely done the trick, I woke up at 119.4 meaning that I was feeling healthier and could even manage a small amount of breakfast and a drink. I left the house at 119.6 feeling the best I have done for days, apart from the fact it was 6.45am – on a Sunday. Stay tuned for how the comp went – this will, again, be on a later article. For now, I’ll add some more detail regarding the relationship between body size, leverages and strength. Under the presumption of “geometric similarity” of human subjects, all body linear dimensions L change proportionally to body size, all areas (such as the cross-sectional area of muscle) change proportionally to L2, and all volumes or masses (including body mass m) change proportionally to L3. An alternative formulation of these relations is that all areas should be proportional to m2/3, whereas all linear dimensions should be proportional to m1/3. When muscle strength is tested with a dynamometer (D, see Figure 1), the presumed relations suggest that the recorded force Fr should be proportional to muscle force Fm, because the leverage of the limb (b/a) does not change with body size. The muscle force is expected to be proportional to the cross-sectional area of the muscle, which also means proportional to L2 or to m2/3. The conclusion is that the allometric parameter used to normalise strength with respect to body mass, the most common index of body size, when it is measured as a muscle force should be q = 2/3 = 0.67. When strength is assessed as the muscle torque recorded with a standard isokinetic apparatus (Figure 2), the torque T changes with body size not only due to the change in muscle cross-sectional area (proportional to m2/3), but also due to the lever arm a of the muscle. As with other linear dimensions, the lever arm changes proportionally to m1/3, which gives the product m2/3·m1/3 = m1. Consequently, the allometric parameter to normalise strength relative to body mass when it is measured as muscle torque should be q = 1. Although the concept of distinguishing between tests of muscle force and muscle torque has only recently been suggested, previous experimental findings underscore this distinction. For example, the literature suggests that the allometric parameters for various measurements of muscle force have been q = 0.45–0.87, whereas those for muscle torque have been within the range q = 0.74–1.31. These results indicate that the allometric parameter is generally greater for torque compared with force. However, even some extensive reviews on the methodology of muscle-strength testing neglect this distinction. Although various features of movement performance are related to body size, normalisation for body size has been rarely applied when presenting results of routine tests of movement performance. What could add to the complexity of this problem is that the outcome of different movement performance tests can be related in different ways to body size, as described subsequently. A number of performance tasks are based on exerting the maximum force against external objects. Examples include determining the maximum load that can be lifted in a standard lifting task, assessing the maximum force that can be exerted during a handgrip task, and evaluating performance on manual material-handling task in ergonomics. Both everyday experience and experimental results suggest that the observed index of performance (i.e., the maximum force exerted, or the maximum load lifted) increases with body size. Accordingly, this force should be related to body size in the same manner as the tested muscle force discussed within the previous section. Therefore, the allometric parameter (see equation 3) used to normalise performance of functional movement tasks based on exertion of external force could be close to q = 2/3. It should be noted that the standard tests of muscle power could also belong to this group, although more complex scaling methods suggest somewhat higher values. An important group of functional movement tests is based on performing rapid movements of either body limbs (e.g., kicking, throwing) or the entire body (such as jumping and sprinting). The literature suggests that there is a weak relation, if any, between movement velocity and body size within a wide range of body sizes across species; this relation becomes negligible within the relatively narrow range of sizes for the human body. Furthermore, performance in athletics is generally consistent with this conclusion because the fastest sprint times, the longest jumps, and the longest ball kicks are not expected from either the largest or the smallest athletes. Therefore, the allometric parameter used to normalise performance of functional tasks involving rapid movements should be close to q = 0, because no normalisation is required. Finally, a number of functional tests are based on muscle actions intended to support body weight under strength-demanding conditions. Examples include actions to move the body (e.g., sit-ups, pull-ups, chin-ups, one-leg raises) and to sustain particular postures (e.g., keep the back extended in a horizontal position, hold a pose in yoga, maintain a balance position in gymnastics). Because the capacity to exert muscle force increases at a lesser rate than body weight, these types of tests should be negatively related to body size. This relation is readily apparent when the effect of body dimensions is examined across species, and by the experiential observation that gymnasts and acrobats tend to have a smaller stature compared with their peers. Because the allometric coefficients for muscle force (q = 2/3) and body weight (increases proportionally to m1, hence q = 1) are different, the allometric parameter used to normalise performance on tasks based on overcoming body weight should be q = −1/3. A number of studies underscore the dissociation in the relation between body size and performance on various movements. For example, lighter subjects have lesser capabilities in functional tests based on overcoming an external load (e.g., bench-press, hip-sled, medicine-ball throw, deadlift), whereas they are more successful when supporting their own weight (e.g., pull-ups, sit-ups, maintaining a posture). A simple scaling approach suggests similar results. The correlation analysis of ergonomics tests based on exerting forces against external objects (push, pulls, manual material handling) and those based on lifting one’s own body (squats, lift-ups, one-leg lifts) suggests that they belong to different “movement abilities”. The same result was reported in the classical studies of Fleishman for the tests of “static strength” (exerting external forces), “dynamic strength” (push-ups, chin-ups), and “explosive strength” (running, jumping). It seems, therefore, that some elements of Fleishman’s “structure of movement abilities” represent an artefact of inappropriately applied normalisation for body size. The normalisation methods (Table 1) https://images.journals.lww.com/acsm-essr/LargeThumb.00003677-200301000-00003.T1-3.jpeg are expected to present the body-size–independent indices of muscle strength and movement performance. These standardised procedures will facilitate the comparison of data obtained in different studies. The most important point of the review, however, concerns the strength-performance relation. As stated previously, a frequent reason for testing muscle strength is to assess functional capabilities with various movements, and the converse is also a common experimental strategy. As depicted in Figure 3, both muscle strength and movement performance tests could be related to body size. Moreover, this relation could be based on different values of the allometric parameter q. As a consequence, the selection of appropriate normalisation methods is required for both muscle strength and movement performance. The normalisation of various indices of muscle strength and movement performance for body size was discussed separately in the preceding sections and is summarized in Table 1. Therefore, this section examines how these separate normalisations can be reduced to a single factor when assessing the strength-performance relation. For example, let us assume that the maximum voluntary forces of the elbow flexor muscles and shoulder extensor muscles are measured to assess the ability of a particular subject population to perform the chin-up exercise. These tests correspond to “muscle force” and “supporting body weight” groups of tests depicted in Table 1 https://images.journals.lww.com/acsm-essr/LargeThumb.00003677-200301000-00003.T1-3.jpeg Results suggest that the recorded maximum voluntary forces should be divided by body mass to estimate the number of chin-ups that subjects of different size can perform. This approach also applies in the converse direction. For example, let us assume that the muscle torques acting about the shoulder and elbow joints are assessed from a functional test of pushing an implement under standardised working conditions. Results suggest that the estimated torque for subjects of different size is approximately equal to the performance on the test multiplied by body mass raised to the 1/3rd power. This approach can also be applied to relate two different strength or movement performance tests. For example, let us assume that the ability for manual material handling (e.g., pushing, pulling, and lifting various objects) is assessed from results of push-ups, squats, and chin-ups. Result suggests that the recorded number of push-ups, squats, and chin-ups should be multiplied by body mass to estimate the ability of manual material handling in subjects of different size. Despite a number of limitations with this approach (see next section), these examples illustrate how the normalisation of body size should be applied when assessing the relations between muscle strength and movement performance. However, these examples also illustrate what happens when the appropriate normalisation procedures are not applied to both the tests of muscle strength and muscle performance. In short, the obtained relations remain confounded with the body size effect. Interestingly, none of the studies cited within a recent literature review considered the role of body size in both muscle strength and movement performance tests, whereas other reviews on the same topic do not mention the effect of body size at all. Most of the normalisation methods for body size proposed in the literature have been based on the aforementioned presumption of geometric similarity. However, it is well known that human bodies are not geometrically similar because there are some prominent systematic differences in either body shape or body composition when different groups of subjects are compared. Among the well-known examples are prominent differences in body shape between men and women and among children of different ages, and significant differences in both body shape and body composition among some athletic groups (e.g., basketball players, gymnasts, and swimmers). Processes of maturation and aging are associated with different rates of change in body size, muscle strength, and movement performance, whereas both sport selection and athletic training could also affect muscle strength and body size in particular groups of subjects. Finally, the tests of the rate of force development could be more important than tests of maximal muscle force or torque when assessing ability for performing rapid body movements. Therefore, one could conclude that the relations between muscle strength, movement performance, and body size could be both complex and specific to the subject group. This conclusion implies that different subject populations tested on the same tasks could require different values for the allometric parameters. This conclusion has been supported by a number of studies. Although the relations between body size and some standard tests of muscle strength and movement performance represent a well-documented phenomenon in the literature, the normalisation for body size has been used both inconsistently and arbitrarily. This problem is exacerbated when muscle strength is tested to assess functional capabilities or when movement performance is tested to estimate muscle strength. The reason is that both muscle strength and movement performance can be influenced by body size. Moreover, these relations can differ for the particular muscle strength and movement performance tests. This review proposes a more systematic approach for normalising the effect of body size on the outcomes of both muscle strength and movement performance tests. This approach is expected to provide indices of muscle strength and movement performance that are independent of the body size and to facilitate the assessment of functional performance based on the tests of muscle strength. Moreover, these normalisations can be reduced to a single procedure for particular groups of the related tests. However, further research is needed to determine the exact effect of body size on the various tests of muscle strength and movement performance, as well as to reveal the role of some potentially confounding factors (e.g., body shape and body composition) that could influence the allometric parameters in specific subject populations. Relating to my experience over the last few weeks, I would say that I have not lost enough weight for this to be an influential factor in my strength, or my ability to move loads through the same planes of movement as before. I lost around 6.5% of my body mass from start to finish, I would estimate that leverages would start to be affected with a much more dramatic change. As mentioned though, starting body composition would affect this too.